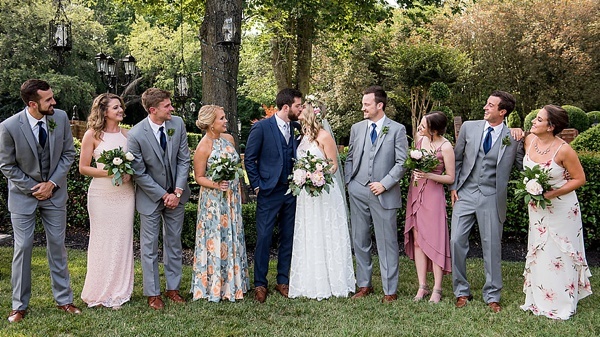 From the West Coast to their hometown of Virginia's Capital, Kat and Andrew knew they wanted to play by their own destination wedding rules and do whatever felt natural to them; they believed that a wedding day was all about attitude and that it would be contagious to their guests (and they are right!). 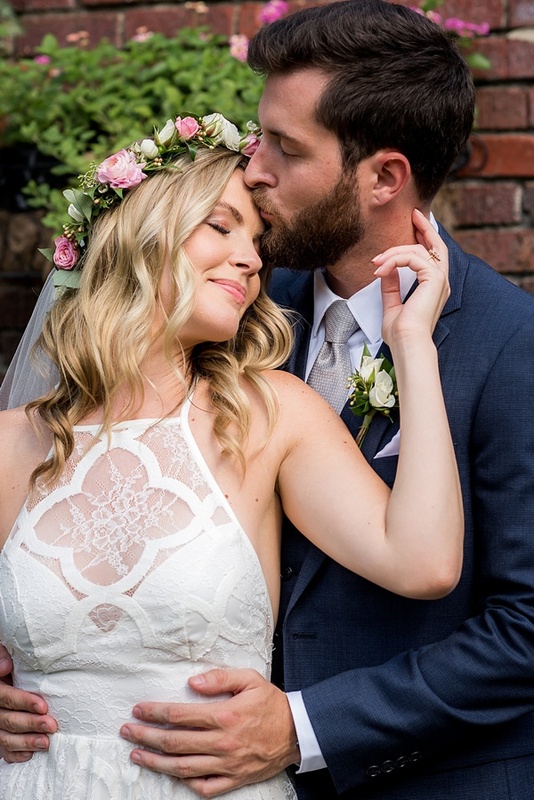 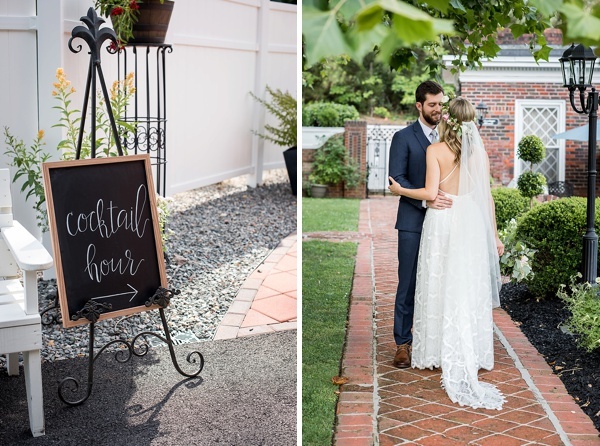 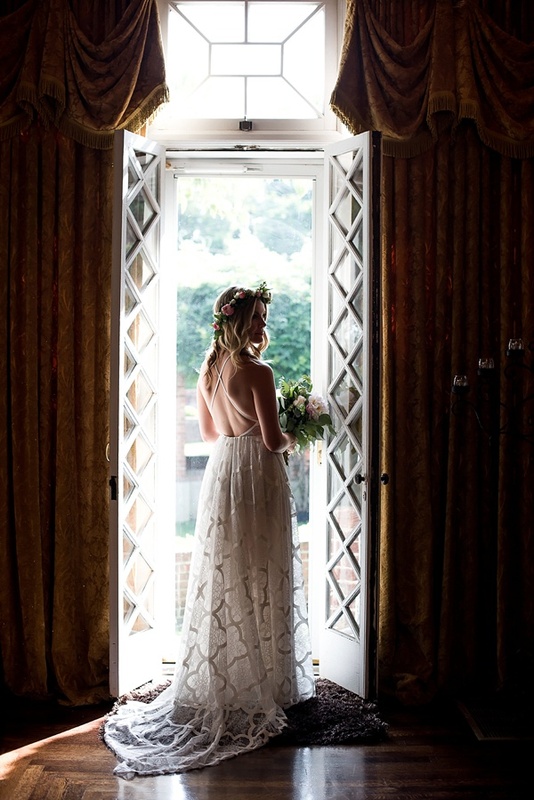 So filled with the carefree spirit befitting of their home in California, these two lovebirds set out to make a memorable and simple celebration at Historic Mankin Mansion in Richmond. 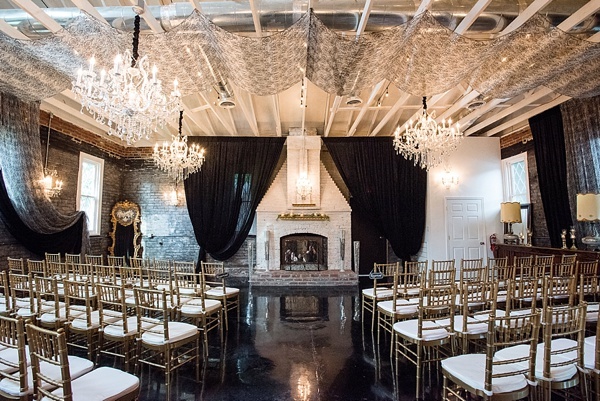 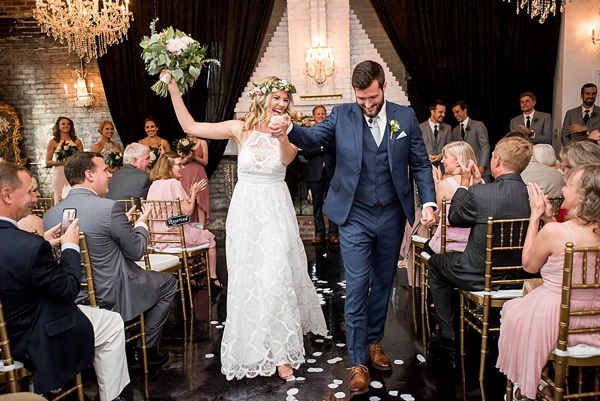 Inspired by their elegant venue, their color palette of pink, gold, and navy blue accented the dramatic ceremony space and open white reception tented area. 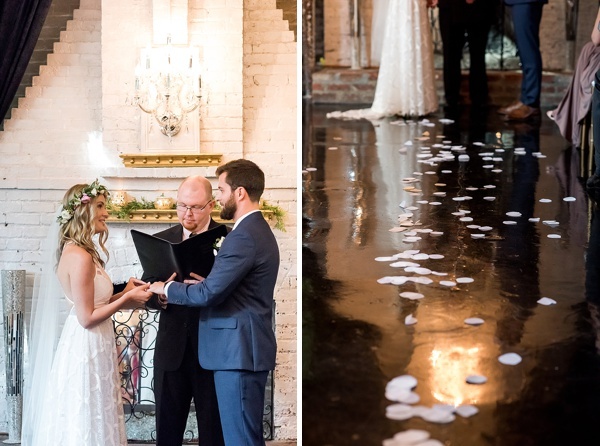 To personalize their vow exchange, Kat's brother and Andrew's father served as their officiants who helped them create their own unique non-religious ceremony. 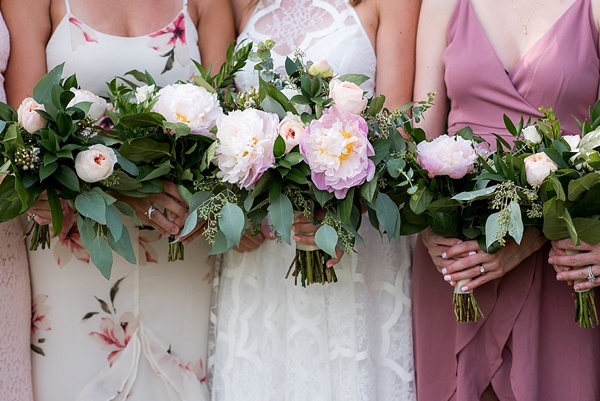 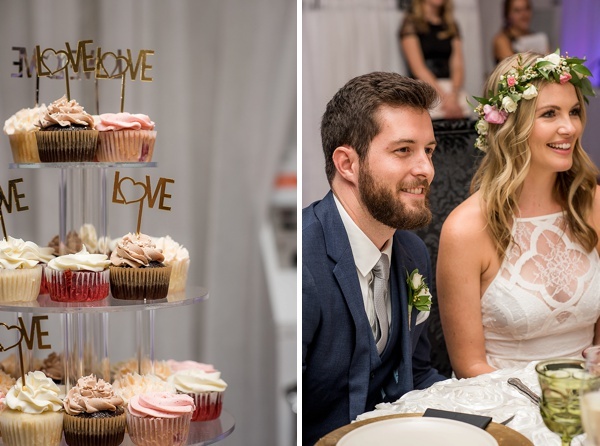 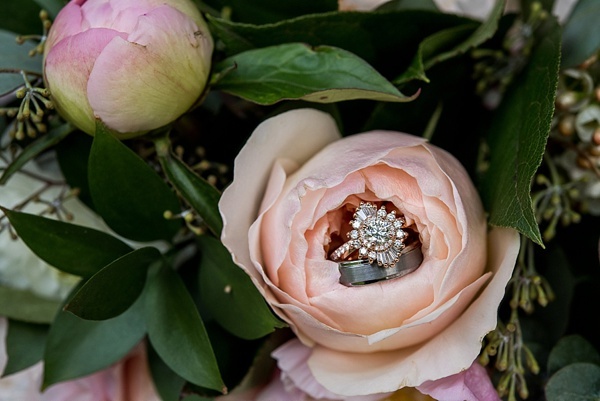 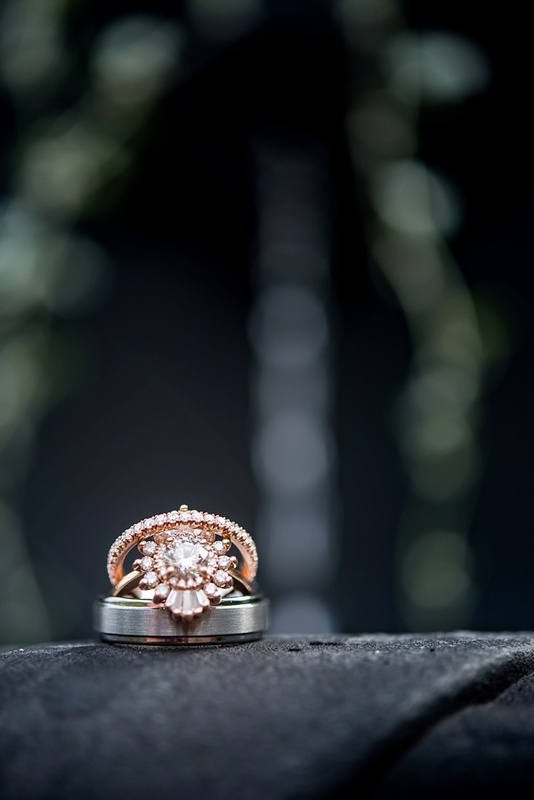 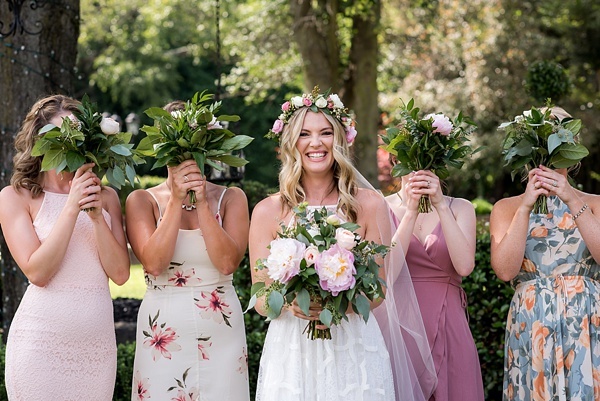 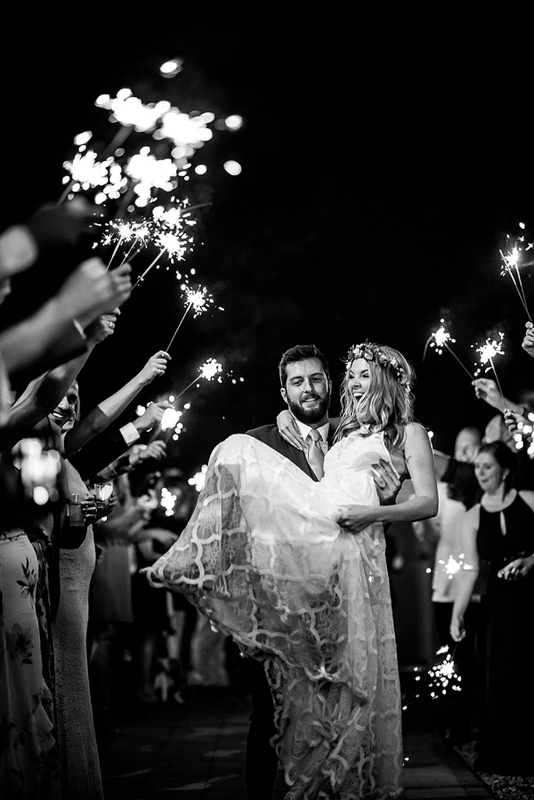 Captured by Awesomesauce Photography, we especially love the bride's modern lace halter wedding gown, her epic vintage Gatsby-like rose gold engagement ring, and the endless smiles for days from everyone in attendance.